From an article shared in Clinical Oncology news on October 10, 2017. The full article is available here. Liquid biopsy has the potential to improve detection, treatment and clinical outcomes for many cancer types, including breast cancer. The field of liquid biopsy is experiencing rapid growth, thanks to better technology and greater knowledge of cancer biology. “The technology is obviously driving the push,” as are investigators seeking better methods to diagnose and treat cancer and more easily detect recurrence, said Lauren Leiman, the executive director of BloodPAC, a consortium focused on accelerating the development and validation of liquid biopsy assays. Liquid biopsy can be performed with several different body fluids. “Blood is certainly one source, but other body fluids are also under scrutiny,” Dr. Davidson said. “A lot of the excitement in the liquid biopsy area has to do with circulating DNA or circulating RNA or circulating tumor cells. … For some of those body fluids, I think that you might be more likely to look at DNA because it’s a little bit more stable than protein markers.” For instance, there is research underway to study bladder or kidney tumor DNA in urine and to study saliva in patients with head and neck cancers. This type of testing has many potential applications in the cancer arena, according to Dr. Davidson. First, it can be used as a noninvasive diagnostic tool. According to a recent multi-center study, a multiple protein biomarker blood test called Videssa Breast (Provista), along with imaging, accurately detected breast cancer in women younger than 50 years of age with abnormal or hard-to-interpret imaging results (Clin Breast Cancer 2017 May 23. [Epub ahead of print], PMID: 28624156). The Videssa Breast assay was studied in two prospective trials that included 545 women aged 25 to 50 years, who were categorized as a Breast Imaging-Reporting and Data System (BI-RADS) 3 or 4. The women in these categories “are in this gray zone,” said David Reese, PhD, the CEO of Provista and a corresponding author of this study. Patients designated as BI-RADS 3 are “probably benign and BI-RADS 4 is called possibly malignant,” he said. For patients with these borderline findings, the clinician must decide whether to pursue follow-up, additional imaging or biopsy. The investigators assessed blood samples for 11 serum protein biomarkers and 33 tumor-associated autoantibodies. The combined results of the training model and the validation model showed that in women with a breast cancer prevalence of 5.87%, Videssa Breast had a sensitivity of 87.5%, a specificity of 83.8% and a positive predictive value of 25.2%. Borderline imaging results required 341 patients to undergo follow-up procedures to detect 30 cancers; using this blood-based assay, clinicians would have recommended follow-up procedures for 111 patients. 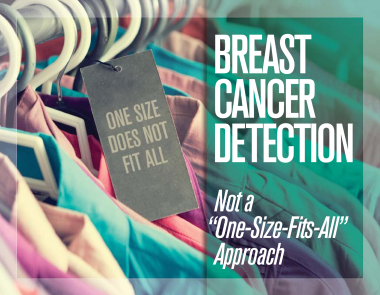 These findings show that Videssa Breast reduced diagnostic uncertainty for providers and patients, alleviating the stress of not knowing whether breast cancer is present after a borderline imaging result, according to Dr. Reese.